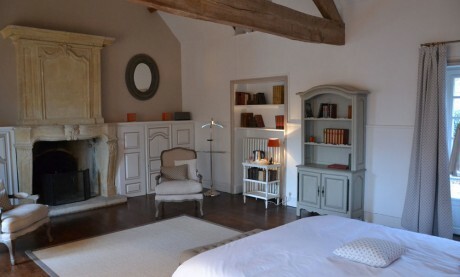 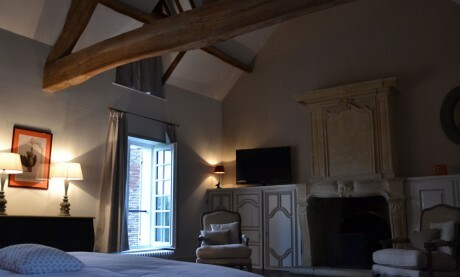 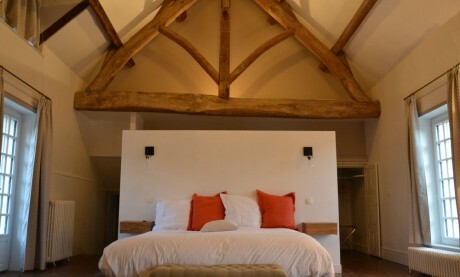 50m2 suite on the first floor with a cathedral ceiling and exposed wooden beams. 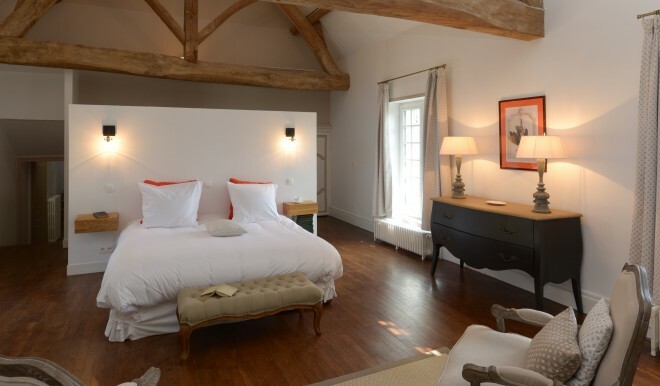 From the comfort of the king size bed (180*200), you can admire the timber roof and stone fireplace. 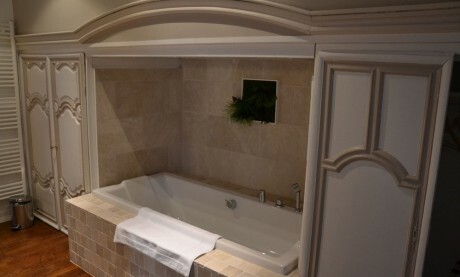 The bath nestled in the alcove adds to the charm of this recently renovated room. 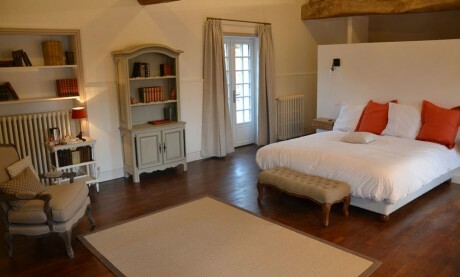 The views over the valley from the two large windows are stunning. 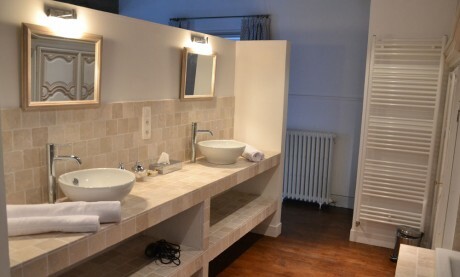 You are able to come and go as you please via a private access.